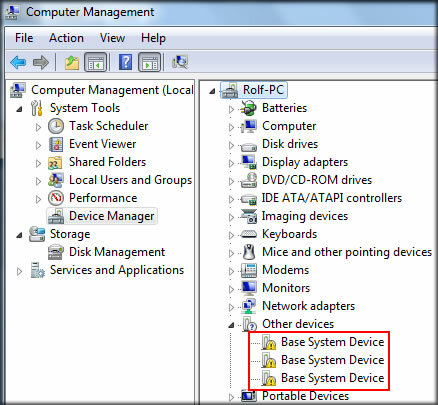 In this post, we are going to discuss the main reasons why PC users are being troubled by Base System Device issues in Windows 7. Also, we will consider some points that you need to remember when it comes to ‘Base System Device’, including its function and possible identity. Since this is already our fifth post about Base System Devices, we will also guide you to our posts that speak about manual and automatic ways to fix this annoying problem. In addition, we have started compiling the list of the examples of the known Windows 7-based PCs and laptops that have encountered Base System Device problems, including what Base System Device turned out to be after the problem was solved. Most PC users want to upgrade their computers (desktop/laptop) to run the latest Windows Operating System which is Windows 7 (Windows 8 is scheduled to launch in fall of this year.) However, associated with this OS upgrade are device driver related issues, and one of the most common issues out there is Base System Device Windows 7 problem. This is because, along with the OS upgrade, the installed drivers (including Base System Device drivers) will be deleted. This means that you will need to install all the missing drivers to your PC after upgrading your OS to Windows 7, thus, you will also need to reinstall the missing Base System Device driver. 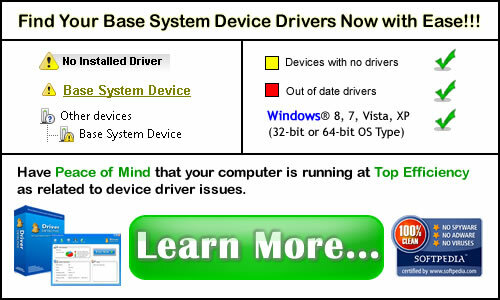 However, there are computer manufacturers who still don’t have Windows 7 Base System driver update for computer models. Yes, there are computers that still only have XP driver updates and PC models with only XP and Vista driver updates, making your search for the correct Base System Device driver update a time-consuming and troublesome task. Another reason why PC users are being troubled while trying to fix Base System Device issues is because they don’t know what a Base System Device is. So, let us consider the identity and functions of a Base System Device. The phrase Base System Device is not a real device or PC component. In many computer related forums, the Base System Devices are identified as SD Card Readers, but the phrase ‘Base System Device’ can also be a chipset component. 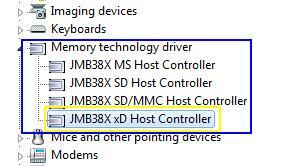 A hardware device marked by a yellow warning symbol, such as a Base System Device listed under the Other Devices in Device Manager is unusable. This means that its features and functions are disabled. So, you will not be able to use your SD card reader as long as the Base System Device issue is not fixed. The same effect is true when your Base System Device is a chipset component, where your PC won’t be able to use the features of that chipset component while the correct drivers are not yet installed on your Windows 7 PC. 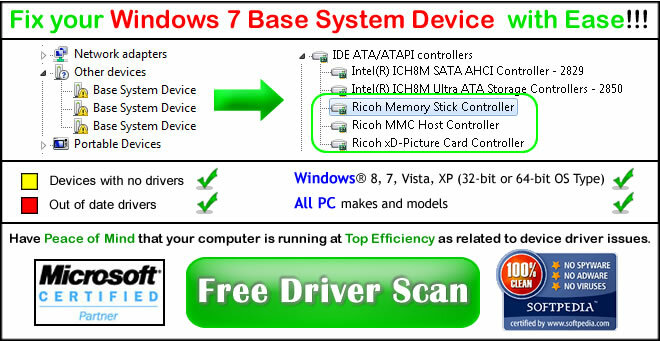 You must also remember that chipset components/devices are responsible for enhancing system performance, thus, installing the correct base system device drivers to your Windows 7-based computer, as soon as possible, is very important. The fixed Base System Devices were exactly the same devices as in the above Acer Aspire 2930z example. 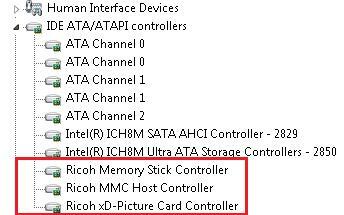 The fixed Base System Device Windows 7 turned out to be a Ricoh Card Reader device!